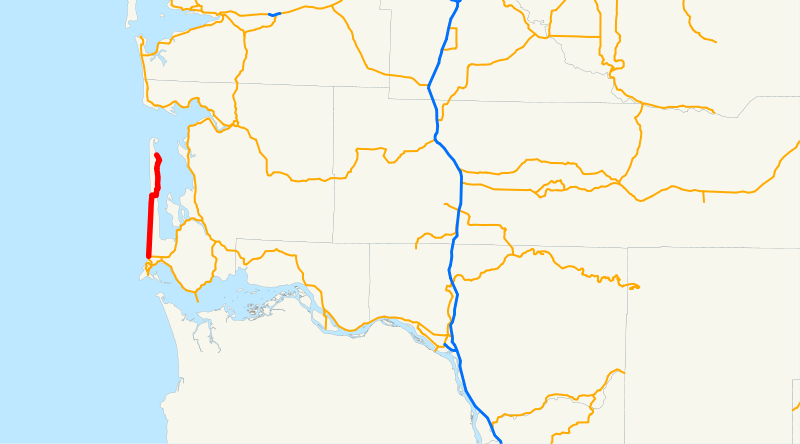 On Sunday, July 18, 2010, I drove the length of Washington State Route 103, north along the Long Beach Peninsula from Seaview to Leadbetter Point State Park. A cool, gray morning with a heavy mist in the air. Typical around these parts. Beginning at a junction with state route number 101 at Seaview, thence northerly by way of Long Beach to Leadbetter Point state park. 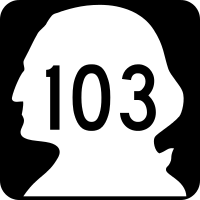 At a point where US 101 turns eastward, SR 103 begins, heading north into Long Beach. The first section is the town of Seaview, actually, but it all sort of flows together. This weekend was the SandSations sandcastle festival in Long Beach, but it ended the day before. Plenty of folks in town still, though. Pity I didn't look at their calendar and get us here a day earlier. 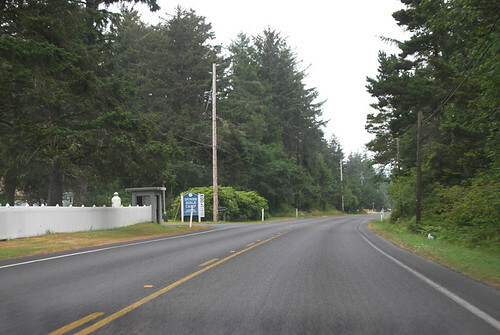 Halfway north along the peninsula, halfway north along SR 103. No junctions on this highway, so here's a lovely spot between Klipsan Beach and Ocean Park. With so much water on each side of such a narrow peninsula, you'd think you'd be able to see something besides forest occasionally. 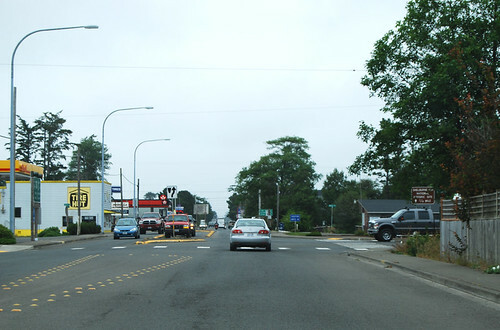 The highway zigs over to the eastern shore, whereupon we catch a brief glimpse of Willapa Bay in Nahcotta. 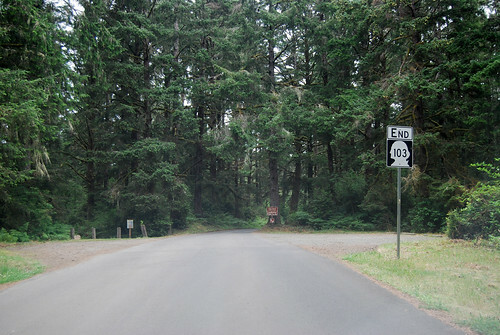 In Oysterville, the highway zags back to the center of the peninsula then north again into Leadbetter Point State Park, whereupon SR 103 ends in the forest. 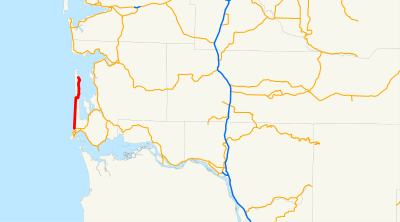 A pleasant drive in a pleasant corner of the state, if you don't mind driving in straight lines quite a bit.